There are experts when it comes to pairing wine and beer with meals, sure. But what about olive oil? Chef Christopher Nicosia of Scottsdale’s Sassi restaurant uses more than six different types of olive oil to create the restaurant’s amazing Italian fare. Here, Chef Nicosia is sharing tips for the at-home cook when it comes to choosing the right oil. There is so much to learn about olive oil that it would require a full course of study itself: harvesting of olives; methods used to extract the oil; grading of oil; packaging; health benefits; the list goes on. What the home cook needs to know about olive oil is far less involved: Extra virgin vs. pommace, Italian vs. Spanish, which type is best suited for sautéing, which type is best used in salads or marinades, how long does it keep etc. One of the basics that one must know is grading of the oil. Everyone is familiar with the term “Extra Virgin”. This simply means that the oil is from the first pressing of the olives. It typically has a darker, green color than more refined or “lesser” grade oils. Extra virgin olive oil is more complex in flavor, however, that does not mean that it is always strong in flavor. Extra virgin can range in flavor from mild and nutty to strong and bitter. Most restaurants would not dare use extra virgin for sautéing, either because of the expense, or the high smoke point and therefore, use an olive and canola oil blend. They reserve the extra virgin for bread service or dressings. At Sassi, however, I chose an extra virgin oil that is suited for sautéing and for the table. I like the flavor, and I think that it is well worth the expense. Olive oil is the blood of the Italian kitchen and should complement the menu. The most important thing is to taste as many as you can, and find which one you like best (styles vary according to country of origin, olive variety used, time between harvest and pressing, and method of pressing). Again, your personal taste should be the number one factor in buying olive oil, and the only way to figure out what you like is to taste…taste…taste! This concept is identical to buying wine: drink what you like, not what you think you should like. Below are a few do’s and don’ts when it comes to olive oil. Take advantage of olive oil tastings at local specialty stores. 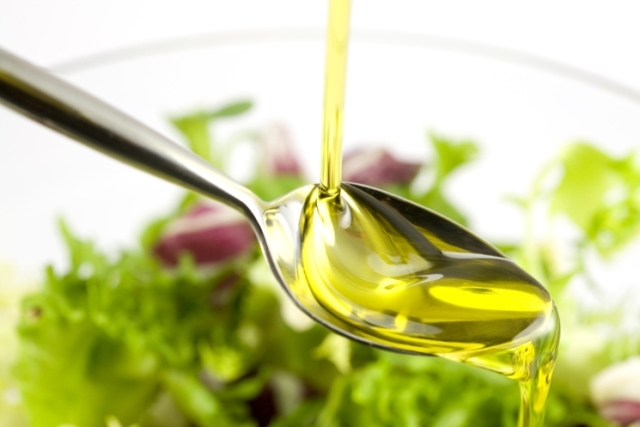 Have an “every day” olive oil that you use to sauté and use for salad dressings. Also keep a “finishing” extra virgin oil (highest quality that you can afford) to drizzle over grilled meats, fish or vegetables at the table. Store your oil in a cool dark place. Heat and light are enemies. Buy some flavored olive oils to use on bread, fish, salad, etc. There are some good ones out there. Buy the most expensive oil and assume that it is good for everything. Keep your oil around for too long. Use it up! It can oxidize and go rancid. Try to make your own infused oils unless you know what you are doing. There are some food safety issues that you may not know about.